Manipulators are necessary for making contact with small and delicate preparations. 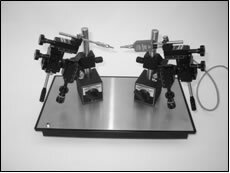 For relative large antennal preparations the MP-15 together withe the EAG or Kombi-Probe and the use of electrically conductive gel is a good alternative. 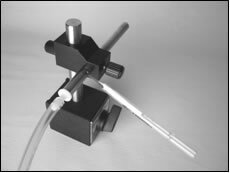 The model MP-22 is designed for SSR applications with glass pipettes or tungsten electrodes. 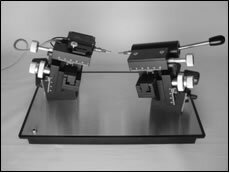 Both models make use of a magnetic ground plate. This makes it easy to move around the whole preparation. For example to position it in front of the outlet of a GC-EAD system.